Ohio State quarterback Braxton Miller told Sports Illustrated Thursday evening that he plans to transition from quarterback to wide reciever. Miller said he hasn’t given up on the quarterback position as he will continue to do some drills at the position but he will focus the 2015 season primarly as a wide reciever as well as doing some punt returning. Here’s a quote from the article. 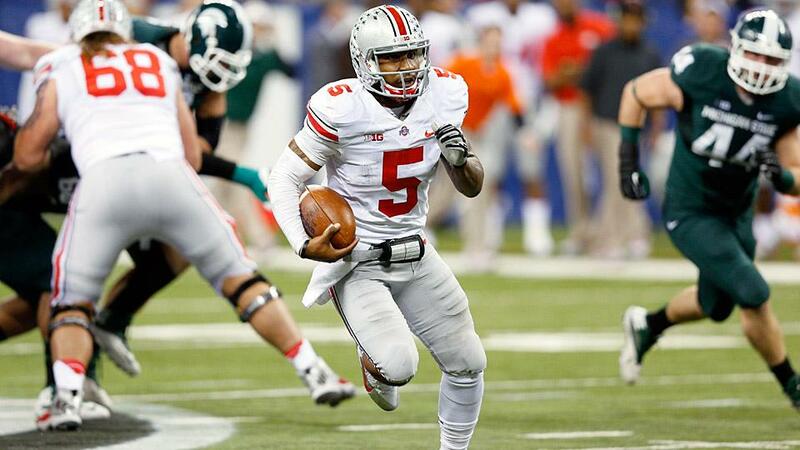 I love this move for Braxton Miller. His pro prospects weren’t going to be at the quarterback spot. I’m glad he’s making the transition now instead of wasting years of his potential pro career like former Ohio State quarterback and current Browns wide receiver Terrelle Pryor. Miller can spend his senior year learning the receiver position and preparing for his NFL future. Miller will join a talented wide receiver group at Ohio State including Michael Thomas, Corey Smith, Johnnie Dixon and Parris Campbell. If Miller can make the transition, the Ohio State offense is going to be an even more exciting offense to watch.